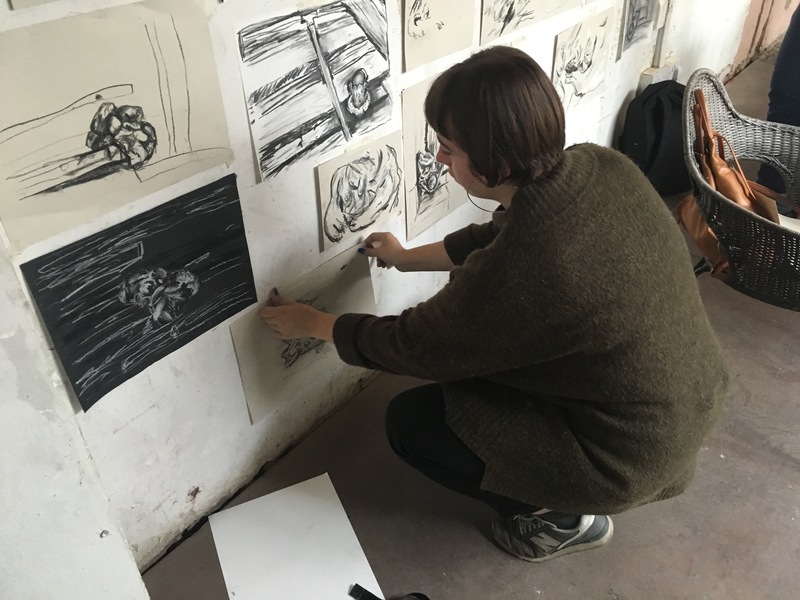 I offer artist-led creative programmes and workshops for schools, colleges and cultural organisations that focus on skill building, exploratory approaches and conversations surrounding Contemporary Art Practice. 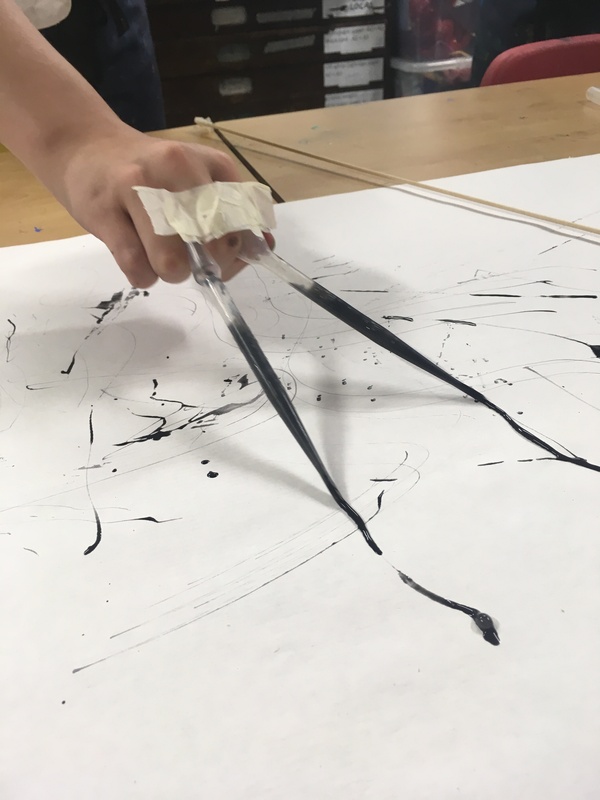 Through having the opportunity to collaborate with artists, students are encouraged to engage and talk about art practice, materials and processes. I am flexible in what programmes and experiences I can provide. Below are some examples of what can be offered. Please see contact details below if you wish to discuss any of the following. These can be one-off workshops that are built around your current curriculum or programmes that can be delivered over a few months, academic term/year. I design programmes that are energetic, stimulating and enable creative learning experiences with an Artist. The workshops can be tailored to small groups (including exam students, SEND, Gifted & Talented students) or whole year groups split into groups. 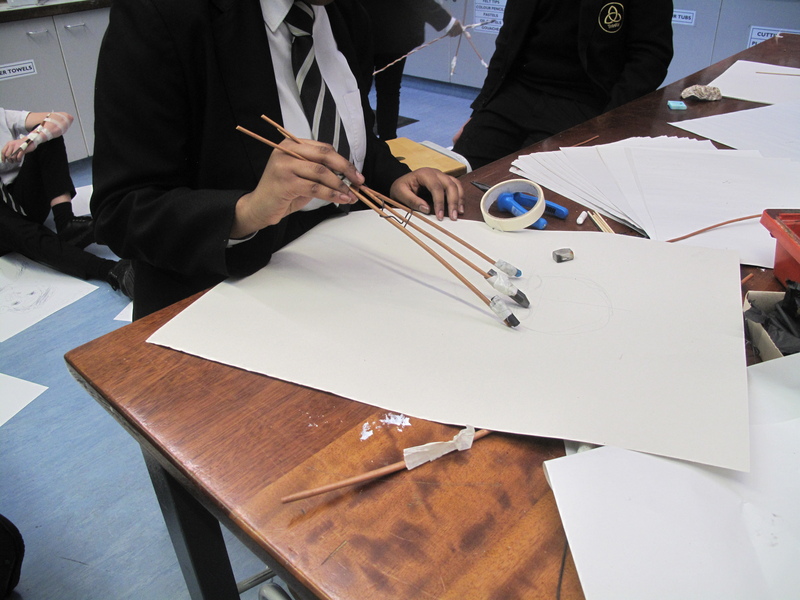 Recent workshops have included Year 9 Life Drawing Day (approx 60 students), Responding to Space through drawing (Year 12 workshop at Crossness Pumping Station), Walking the boundaries (artist-led walk) and a Year 5 workshop day inspired by architect Zaha Hadid, entitled ‘Designing for your Future’. 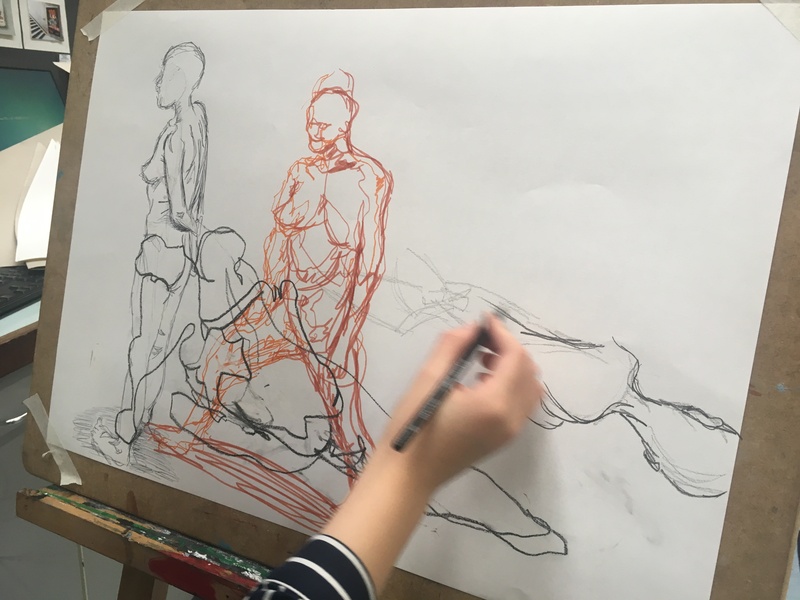 As Artist in Residence at Colfe’s School between 2016-2018 I established and delivered The Goldsmiths and Colfe’s Art Studio Programme 2017/18 for Year 12 Colfe’s students and BA Fine Art students at Goldsmiths College, University of London. The programme is currently in its second year at Colfe’s School. Schools and galleries I am currently working at or have worked with recently include: Prendergast School, Colfe’s School, St John’s Upper Holloway CE Primary School, Gerald Moore Gallery, Eltham College, The Cedars School (Croydon) and Chase Lane Primary School (as a Bow Arts Freelance Artist Educator). Designed to fulfil the needs of teachers and inspire creativity in the classroom, INSET and teambuilding sessions can be tailored for cross-school delivery, across Key Stages or for individual year groups. The sessions endeavour to build confidence in delivering skills, to reengage with the curriculum or to help encourage and develop new teaching practices. 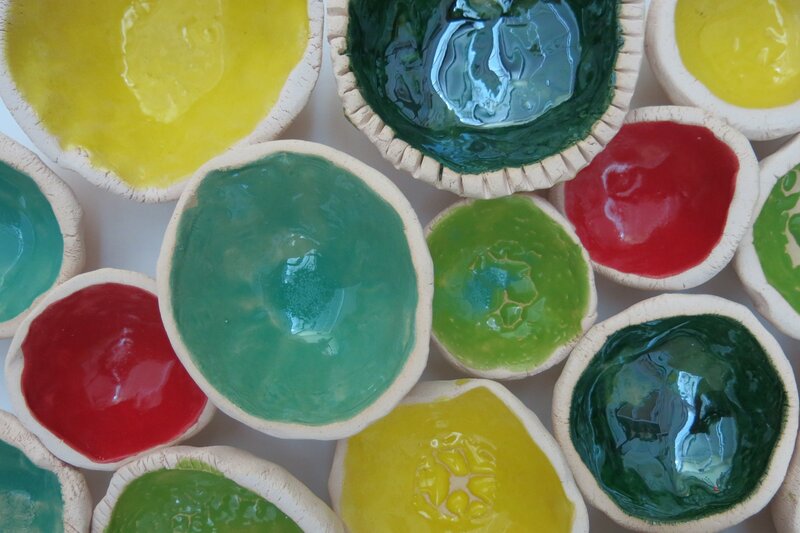 Recently I delivered an INSET session at St John’s Upper Holloway CE Primary School, where I taught a clay skills session to the teachers in Early Years- Key Stage 2. 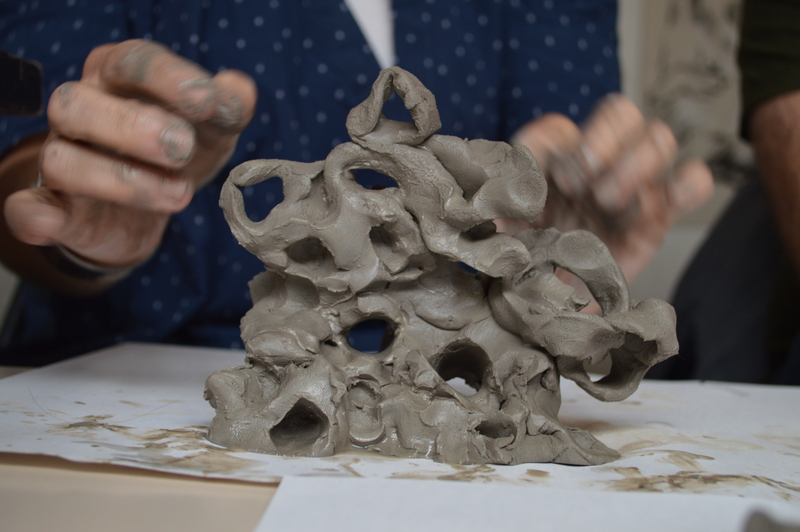 In November 2018 I delivered an artist talk and workshop for Hampshire Secondary Art, Craft and Design Conference 2018 at Southampton City Art Gallery. 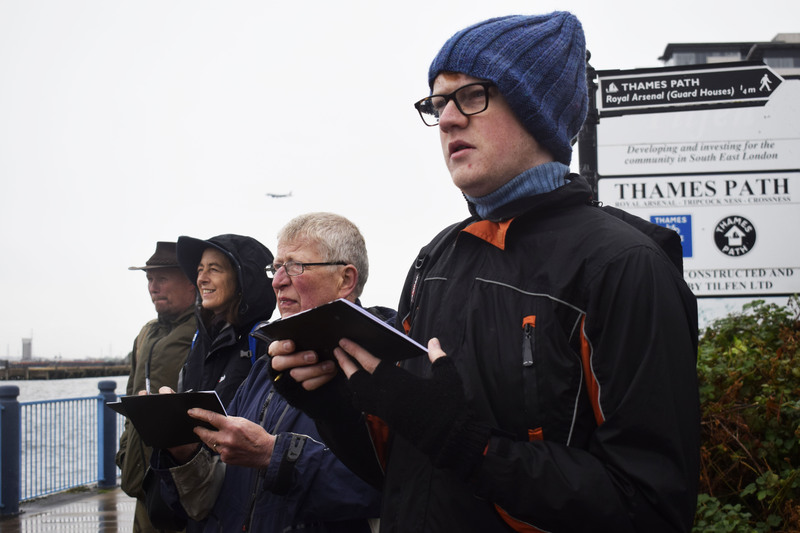 Outreach programmes can be designed for the specific needs of schools, organisations and community partners. 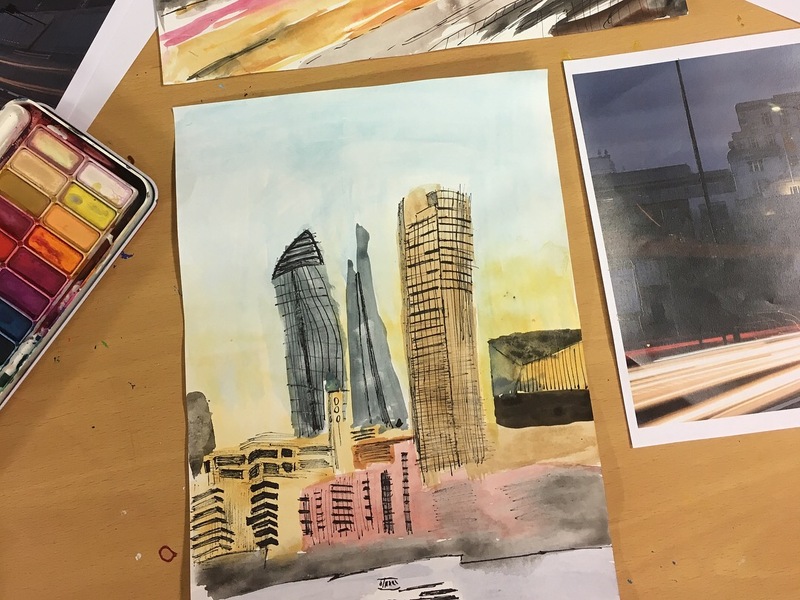 As an Art Practitioner for the national programme, NCS the Challenge, I led groups of young people aged 15- 17 years old in supporting art skills building that then enabled the young people of varying experience to engage with local community partners. Outreach programmes are designed to enrich academic learning, enable access to Contemporary Art discourse and increase engagement with The Arts. 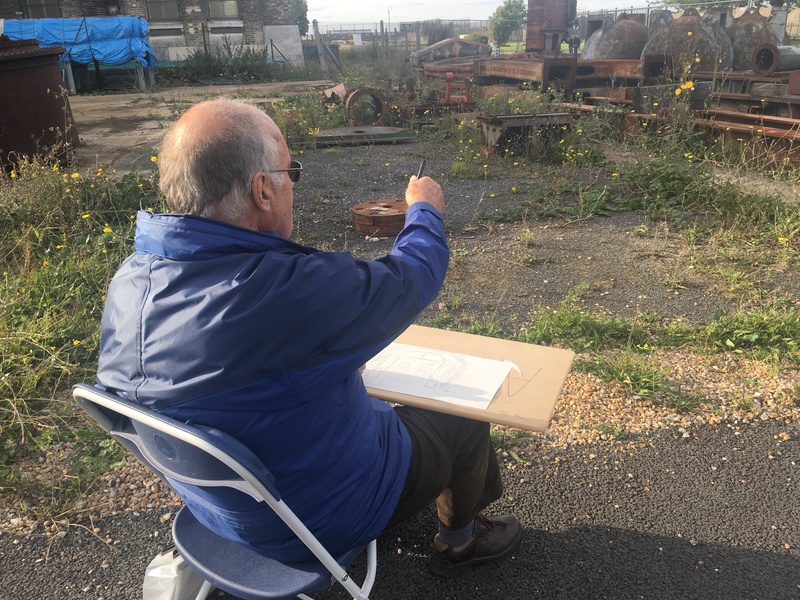 Currently I lead an outreach programme for Goldsmiths College, University of London, collaborating with BA Fine Art and BA Fine Art & History of Art students and local Year 12 students studying in Lewisham, London. Please either email lily.german@hotmail.co.uk or use the contact form below to ask further questions.